Good, bad, or indifferent, my age makes me a Baby Boomer. One characteristic of the Boomer generation and even more so our parent’s generation is that sometimes we wish for the good old days! (Minus the Great Depression and World War II, which was before my time!) Not that they were all that good, but they were certainly different in one respect than today’s world: More often than not we were given or took the initiative to get as many facts, as much evidence as we could to determine if a news headline or a caption was true. It seems that today’s Facebook, Twitter, Hashtag generation wants only rapid-fire headlines to tell them the complete story. Something like: I don’t have time for, so don’t bother me with all the facts; this is all I need to know. I realize that this is an over-simplified generalization; nevertheless, it is generally true. Plus, it is not meant to be a criticism of today’s generation (my kids and grandkids are part of this generation!). Rather, it is intended to be a matter-of-fact observation with a touch of warning mixed in. A caution that experientially stems from those in a past global generation who fell for the Big Lie of Hitler and his Third Reich. 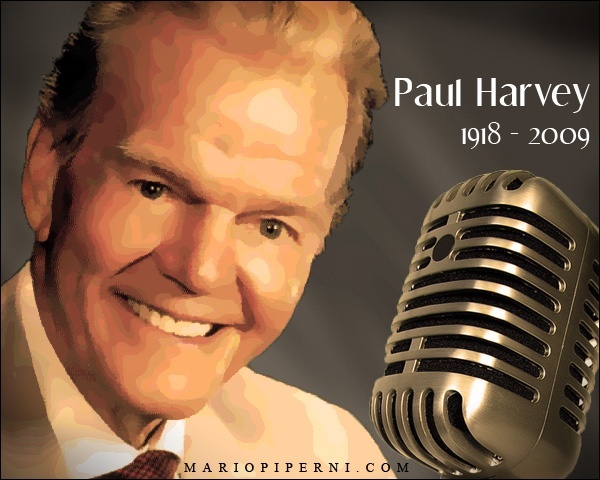 An American icon named Paul Harvey apparently recognized this post-modern disconcerting trend to skim over details, to accept at face value what one read or heard without concern for all of the facts. Though he was first and foremost a journalistic artist—with his broadcasting program geared to both drama and humor—he was also an ardent student of history. It hasn’t been all that long since he passed away (February, 2009); thus, many of us remember his famous radio program that aired Monday through Friday for some three decades: The Rest of the Story. 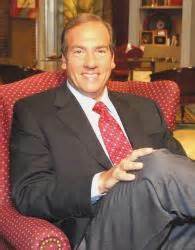 For a short time thereafter, Paul Harvey’s son, then former Arkansas Governor and current Republican Presidential Candidate Mike Huckabee replaced Paul Harvey. Two weeks ago, the Eye of Prophecy article, Tell a Big Lie Long Enough, included excerpts from and commentary on the speech of Palestinian Authority President Mahmoud Abbas to the United Nations. You may want to read that article to realize just how much historical and contemporary distortion of the Israeli, Palestinian conflict was being foisted on the entire world. A misrepresentation so glaring that there’s no other way to classify it except as a Big Lie. Since that article and last week’s companion article, several more Israelis have been killed or wounded by Palestinian lone wolf attacks with an unmistakable connection to President Abbas’s incitement of his people. Moreover, to demonstrate just how much our United States leaders don’t want to be bothered with the actual facts, Secretary of State John Kerry attributed the attacks to ongoing Jewish settlements (implying unlawful construction) in East Jerusalem or the West Bank. On the spur of the moment he simply regurgitated old headline lies repeated by Abbas to the UN … that Israel has been guilty of occupation (settlements) and aggression. Secretary Kerry made absolutely no reference to the obvious reason confirmed by the known facts, i.e. that the attacks are retaliation to Israel’s alleged decision to change the visitation status (Status Quo) of Temple Mount for both Jews and Arabs. No such thing was planned or has been carried out. But this is exactly what Mahmoud Abbas told the United Nations and what the Palestinians needed or wanted to hear. Which led directly to the current murderous rampage against innocent Israelis. Does our Presidential Staff really believe Mahmoud Abbas’ Big Lie? Do they bother with the facts? Do they care about the truth? John Kerry tried to backtrack on his assertion about settlements, but not by correcting his misstatement of the facts and cause of the riots. Instead he said, “There is no justification for violence against Israelis.” At least he got that part right. Then State Department spokesperson John Kirby turned right around and accused Israel of violating the status quo on the Temple Mount—which as we already know is a flat-out lie. But the good news is that the very next day (10-1-15) after Abbas’s inflammatory speech to the UN, Israeli Prime Minister Benjamin Netanyahu (Bibi as he is fondly known) was permitted to present, The Rest of the Story. As with Abbas’s speech, time/space doesn’t permit but a few excerpts from and commentary on Netanyahu’s message, but it’s important to realize that the facts contained in this rebuttal are just that, facts. Evidence that can be fully documented through any objective reference source one cares to examine. Which is the first definition or characteristic of truth—that of factual (truthful) accuracy—as presented in last week’s Eye of Prophecy article, The Whole Truth. With the second vital component of Truth: that of an objective, exclusive (divine) source and standard so clearly contained in the Bible. Backed up with hundreds of fulfilled prophecies and with miracles that only the one true and living God can do. Prime Minister Benjamin Netanyahu’s speech is essentially in two parts. With the first and longer portion a solemn reminder of Iran’s hostility toward Israel and the United States and the P5 + 1 infamous nuclear deal with this deceitful, militant, rogue nation. For what I think are some insightful Eye of Prophecy articles on this subject, please refer to the following articles in particular: Let’s Make a Deal, posted 12-14-13. Divine Consequences of Iran’s Arrogance, Part I & II, posted 5-23-15 & 5-30-15. A Deal That Will Live in Infamy, published 8-1-15. With the second part geared toward the Palestinians, including the lies being told by their leaders. But also to challenge the United Nations itself and its inexplicable animosity toward Israel. In fact, the speech commences with some chastisement of the UN. “Ladies and Gentlemen, I bring you greetings from Jerusalem. The city in which the Jewish People’s hopes and prayers for peace for all of humanity have echoed throughout the ages. Netanyahu proceeds to identify over ten specific actions conducted by Iran during this time-frame, such as setting up new terror cells in several countries and shipping missiles to Iran’s proxy Hezbollah in Lebanon, which borders northern Israel, as well as drones to Hamas in the Gaza Strip. He then cites a couple of quotes from Iranian leaders including Ayatollah Khamenei. Although my previous two articles focused on the Palestinian, Israeli conflict, not Iran, the essence of those articles matched Benjamin Netanyahu’s assertion, i.e. that actions speak loud, but so do words, especially lies. If actions speak louder, it’s only in hindsight … after the fact. Lies told ahead of time can disarm, mislead, and desensitize us to the facts of what can and usually does happen if we blindly believe what we are told or think is happening without finding out what really has occurred and why it is taking place. I and many others who care about these things continue to be perplexed and perturbed at the precarious view held by most leaders of many Western Nations including the United States. Which is: The apocalyptic actions and words of Iran are only bluff. That their bark is bigger than their bite. That they wouldn’t dare follow through on their stated intentions. The end result is that we still don’t take them seriously. Or, at the very minimum, we think we can entice them through negotiation and appeasement to act and react like a normal civilized nation. But this is exactly what happened just before it was too late to prevent World War II. What makes the United States and its allies think that Iran doesn’t mean business? By the time Iran is nuclear armed, it will be too late. “Last month, Khamenei once again made his genocidal intentions clear before Iran’s top clerical body, the Assembly of Experts. He spoke about Israel, home to over six million Jews. He pledged, ‘there will be no Israel in 25 years.’ Seventy years after the murder of six million Jews, Iran’s rulers promise to destroy my country. Murder my people. And the response from this body, the response from nearly every one of the governments represented here has been absolutely nothing! (At this point Benjamin Netanyahu remained silent for a little over 40 seconds to let what he had said soak in. Some have already dubbed his message, The Silent Speech. Although I have read the entire speech, I haven’t watched all of it; however, I did watch a few minutes of it including this powerful pregnant pause. It was electrifying). He then goes on to explain the brutal treatment of the Jews by Babylon, Rome, the Inquisitions, the Pogroms, and most of all the Holocaust. Followed by another potent and penetrating observation that echoes loudly hundreds of Old Testament prophecies concerning the end time’s rebirth of Israel as a nation and restoration of the Jews as a people (Which I’ve also written about in many Eye of Prophecy articles and in two books). Good for you Benjamin! The true and living God of the Bible said that would happen: Peoples and empires who sought Israel’s destruction would themselves be destroyed. Yet, Israel and her people would return and remain forever. That is happening before our eyes in this generation. Netanyahu’s words were not boastful. Instead, as a man and Prime Minister who studies Scripture, he is fully aware that the promises to protect and preserve Israel since her rebirth as a nation come directly from Almighty God—the God of Abraham, Isaac, and Jacob. Those are guarantees that will be kept because Scripture says that God never lies. That he is the Eternal Omnipotent God of truth and certainty. And that his Messiah IS TRUTH. After discussing the strategically all-important alliance between Israel and the United States (with exception of disagreement over the Iran nuclear deal) and Israel’s amazing contributions to the world including innovations and advancements in agriculture, science, computer technology, medicine, and chemistry, the Prime Minister’s speech shifts to the Palestinians. 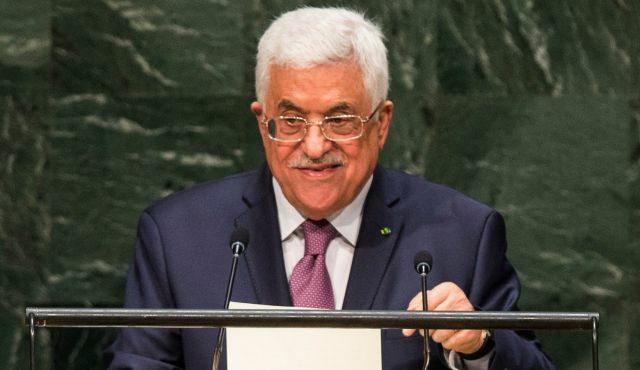 My article of two weeks ago only alluded to, but did not elaborate on Abbas’s implied appeal that the United Nations make a resolution to unilaterally (without any input from Israel whatsoever) approve a Palestinian State. One, I might add, that is militarized; a state that will only result in a civil war between the Palestinian Authority and Hamas as they vie for authority; and/or a state that will eventually become a proxy to Iran. In other words, a Palestinian State that will become a perfectly unwanted replica of Syria. He then uses the same example I used in the Eye of Prophecy article Tell a Big Lie Long Enough (which was written before I read Netanyahu’s address to the UN), i.e. the totally disproportional number of unjustified UN sanctions against Israel compared to the one sanction against Syria. “President Abbas, here’s a good place to begin: Stop spreading lies about Israel’s alleged intentions on the Temple Mount. Israel is fully committed to maintaining the status quo there. What President Abbas should be speaking out against are the actions of militant Islamists who are smuggling explosives into the Al-Aqsa mosque and who are trying to prevent Jews and Christians from visiting the holy sites. 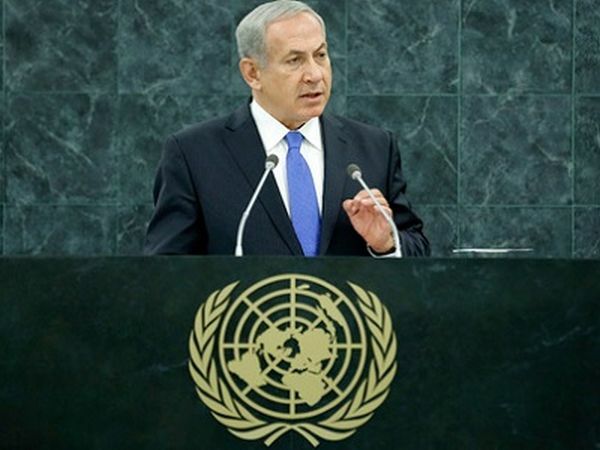 “…Far from endangering the holy sites, it is Israel that ensures their safety. Because unlike the powers who have ruled Jerusalem in the past, Israel respects the holy sites and freedom of all—Jews, Muslims, Christians, everyone. And that, ladies and gentlemen, will never change. Because Israel will always stay true to its values … This is the true face of Israel. These are the values of Israel. *Note: See the Eye of Prophecy article, The Heart and Soul of Israel, posted 1-4-14. “Why are the nations so angry? Why do they waste their time with futile plans? The kings of the earth prepare for battle; the rulers plot together against the Lord and against his anointed one. ‘Let us break their chains,’ they cry, ‘and free ourselves from slavery to God’” (Psalms 2:1-3). It’s inexplicably bewildering how so many people throughout the ages, including today’s cynical, me-generation, have believed the original Big Lie that comes from Satan, himself. The Lie believed by Adam and Eve. Which is: Freedom or liberty or the pursuit of bliss (which is mostly personal pleasure and self-indulgence) is possible only when they break the restraints that they perceive God has placed on them. That God’s divine laws and standards deprive them of self-realization or self-fulfillment or so-called deeper knowledge of mystical things, which is nothing more than a desire to become their own god; thereby, creating and maintaining their own criteria for right and wrong, good and evil. In fact, it’s just the opposite. Listen to the words of Jesus concerning real truth and actual freedom when he speaks of the transforming reality of Biblical salvation, which includes so many wonderful benefits such as forgiveness, redemption, and everlasting life. “And you will know the truth, and the truth will set you free” (John 8:32). People the world over know these words. Few know who said them … or what truth Jesus is talking about. Then a few verses later Messiah explains what it is that actually enslaves the human race. “…I tell you the truth, everyone who sins is a slave of sin. A slave is not a permanent member of the family, but a son is part of the family forever (referring to sons and daughters in the family of God). So if the Son sets you free, you are truly free” (Verses 34-36). It’s not so hard to figure out that global grief and turmoil is caused by oppression, ethnic and national disputes, deprivation, wars, crime, injustice … just to name a few of the world’s ills. There’s a whole dirty laundry load of reasons: Pride, greed, lust, hatred, lying, sexual immorality, sorceries, jealousy, and pursuit of pleasure no matter the cost. On and on we could go. These are the things that take away true mental, emotional, physical, and spiritual freedom. Christ is telling us that doing anything and everything we please results in slavery, physically and spiritually. That is the truth of it. The only TRUTH that will set us free from the devastating consequences of slavery to sin is the liberating truth of God’s salvation. 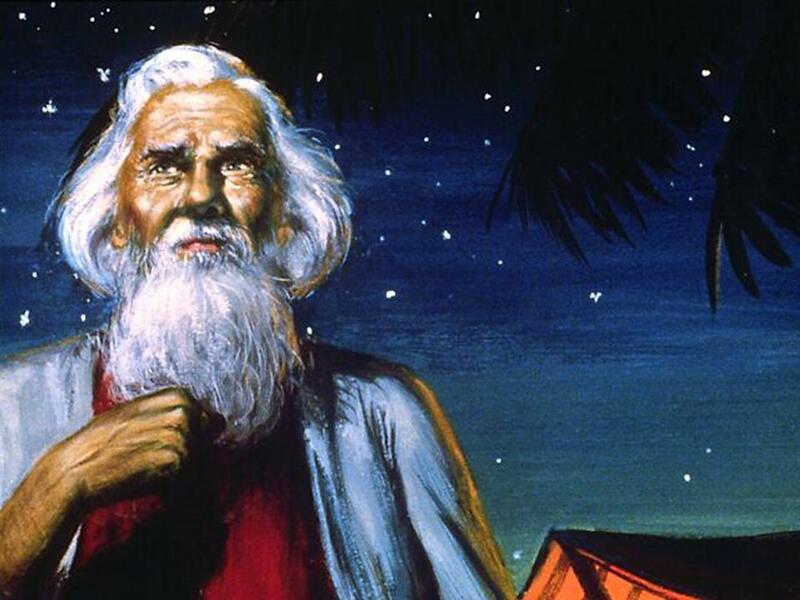 King David knew of the coming Messiah as he wrote about God’s Royal Son in the passage cited above from Psalm Chapter 2; although he wasn’t privy to all of the details or sequence of events of Messiah’s arrival, some one thousand years later. And David knew all about truth, as he writes about it frequently. He knew that real truth is God’s Truth. Like all of us, David had sinned; but he knew the truth of redemption, long before his Redeemer came to the earth to retroactively purchase David’s salvation (proactively for all those who would choose Christ in the future). 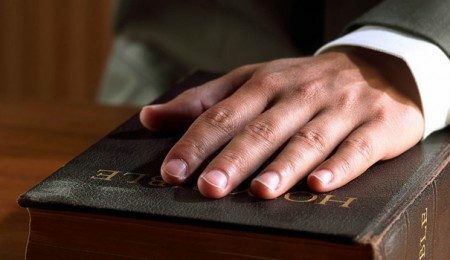 Thus, he was willing to be put on trial and cross-examined by God. Because he knew that if he trusted in and responded to God’s love and forgiveness, God’s promise of reconciliation and restoration was: The truth, the whole truth, and nothing but the truth. Referring to Messiah Yeshua, (Christ Jesus) the Apostle John writes: “He came into the very world he created, but the world didn’t recognize him. He came to his own people, and even they rejected him. But to all who believed him and accepted him, he gave the right to become children of God. They are reborn—not with a physical birth resulting from human passion or plan, but a birth that comes from God” (John 1:10-13). No, the Jews haven’t rejected God’s specific plan for them to possess the Promised Land of Israel forever (Abrahamic Covenant). Rather, most of them to this day have disbelieved the truth of God’s universal plan that salvation and eternal life would come through the New Covenant. The Covenant of Grace through God’s gift of his Son, Messiah Jesus to the whole world, Jew and Gentile alike. But God knew this would happen and, just like with Joseph and his brothers, God made something wonderfully good (permanent redemption) come out of this horrible injustice … the crucifixion of Messiah. The just for the unjust. As a result thousands of Jews in the first century believed and received Jesus as their Messiah, including the most devout of them all—a Pharisee who had staunchly defended the Law of Moses to the extent of imprisoning and killing Jews who had accepted Christ as their personal Savior. Only for Paul to have a life-changing encounter with the risen Messiah on the road to Damascus. 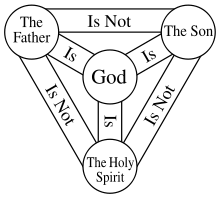 Then to, under the inspiration of the Holy Spirit which had been given to indwell the hearts of Jew and Gentile believers alike, write most of the New Testament; including numerous quotes from the Old Testament to show that (as is said): The Old Testament is the New Testament concealed, and the New Testament is the Old Testament revealed. That the New Testament contains the Rest of the Story. Though God withdrew his protection from Israel a second time (the first time when Assyria then Babylon conquered Israel) when the Romans destroyed the second Temple resulting in the Great Diaspora of the Jews until 1948, he would not completely abandon or reject them. Concerning the destiny of Israel which is unfolding before our very eyes, the Jews have returned and are still returning to their providential place and time in God’s historical, eternal plan. As exemplified by the actions and words of their Prime Minister, they are beginning to once again understand their role in proclaiming the truth and essence of who they are and what they were chosen to do: To bring light and salvation to the whole world. But a salvation that, in large numbers, they have not yet experienced themselves. 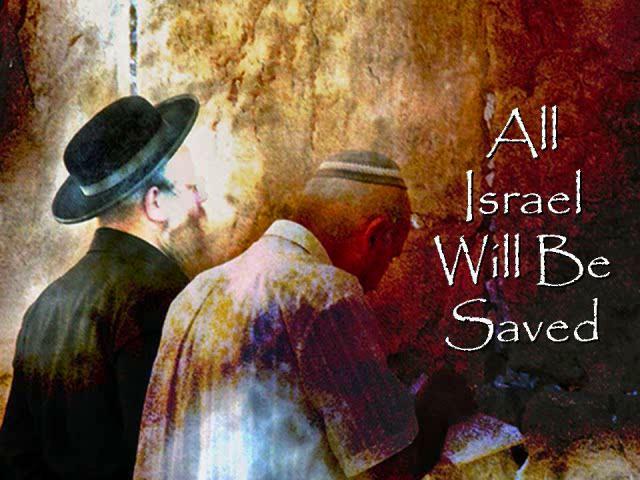 Many Jews now understand that God’s promise for them to return and possess the Holy Land of Israel and the Holy City of Jerusalem is being fulfilled in this generation. That is the physical, corporeal truth of who they really are and what must actually happen. But most haven’t yet grasped the truth of the spiritual component of their destiny. That the Jewish Messiah they long for has already arrived, some two thousand years ago. 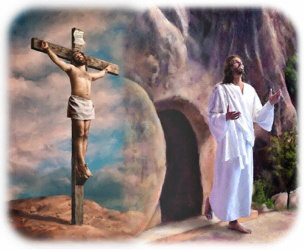 That his birth, life, death, and resurrection from the grave was the culmination of both the law and sacrificial system of atonement, which was only a shadow of what and who was to come. That Yeshua is the prophetically fulfilled real object (person) of redemption, accomplished through his once for all universal sacrifice to bring so great a salvation to the human race. Which is why their spiritual reconciliation to the Lord lags behind their physical restoration to the Land. But this, too, will change … and soon. “I ask, then, has God rejected his own people, the nation of Israel? Of course not! I myself am an Israelite, a descendant of Abraham and a member of the tribe of Benjamin. No, God has not rejected his own people, whom he chose from the very beginning…” (Romans 11:1-2). To this day, many Jews including Rabbis concede the controversial point that God withdrew his protection of their people, which led to the greatest tragedy of all … the Holocaust. That part is true. As a result, many other Jews (and all too many Gentiles) believe that God did totally reject Israel. That part is not true. Paul goes on to say: “Did God’s people stumble and fall beyond recovery? Of course not! They were disobedient, so God made salvation available to the Gentiles. But he wanted his own people to become jealous and claim it for themselves. Now if the Gentiles were enriched because the people of Israel turned down God’s offer of salvation, think how much greater a blessing the world will share when they finally accept it” (Romans 11:11-12). And still later in the chapter: “…Some of the people of Israel have hard hearts, but this will last only until the full number of Gentiles comes to Christ. And so all Israel will be saved….” (Verse 25-26). “…the longing of my heart and my prayer to God is for the people of Israel to be saved. I know what enthusiasm they have for God, but it is misdirected zeal. For they don’t understand God’s way of making people right with himself. Refusing to accept God’s way, they cling to their own way of getting right with God by trying to keep the law. For Christ has already accomplished the purpose for which the law was given. 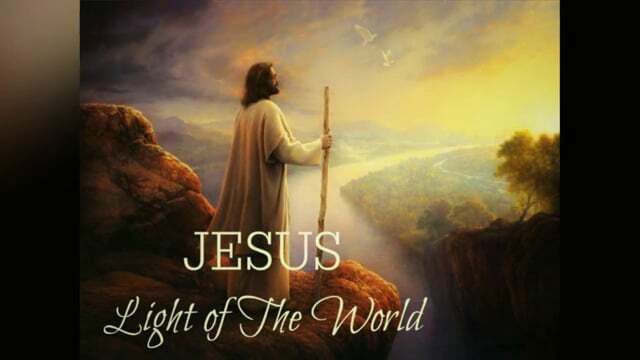 As a result, all who believe in him are made right with God” (Romans 10:1-4). That time is near, so very near. Today is the day of salvation. Don’t wait until it’s too late. Whether you are a Gentile or Jew, “Everyone who calls on the name of the Lord will be saved” (Romans 10:13). In some way, at some time or another have you thought about such things as: Who am I? Why am I (actually) here? How did I (really) get here? Where am I going? How will I get there? What will prevent me from getting there? Does anyone really care what happens to me? If so, what can they do about it? God puts those questions in our minds and hearts; because he loves us so much. He cares because he has the answers, some that we will understand in this lifetime, others we won’t truly grasp until we reach the other side. But there are two sides to the other side. One with answers. The other with perpetual doubt, confusion, and terror. Our choice in this lifetime will determine which side we will reach when we die. He knows the heartaches that life brings our way, whether we cause them or whether they are beyond our control. The Bible says that if we draw near to God, he will draw near to us. First, to save us once and for all when we say, “Yes”, to Jesus. Then with the help of the Holy Spirit, to help us grow in the grace and knowledge of Jesus Christ until the day that we see him face to face. It truly is a matter of eternal life and death. 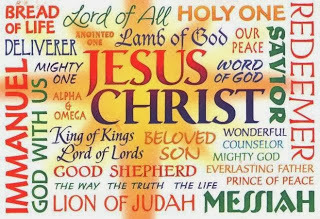 Choose Messiah Jesus (Son of God, Son of David, Son of Man) and live forever in heaven. Choose anything or anyone else and forever be separated from God and the host of heaven in a place too terrible for words. “And this is what God has testified (sworn as truth): He has given us eternal life, and this life is in his Son. Whoever has the Son has life; whoever does not have God’s Son does not have life” (I John 5:11-12). And now we know: The Rest of the Story. If You Tell a Big Lie Long Enough….? This conclusion was based on a thorough study of German propaganda before and during the war, predicated primarily on Adolph Hitler’s venomous book of hatred against the Jews, Mein Kampf. Subsequently, the Big Lie paradigm was adapted as a political stratagem by Reich Minister of Propaganda Joseph Goebbels, who spared no expense and contemptuously crossed every line of decency, morality, and truth in order to denigrate and demonize the Jews. Hitler wrongly accused the Jews of using this Big Lie tactic to undermine Germany; then he developed the same strategy to turn a long-standing Anti-Semitism into mass murder of the Jews through the sadistically perverted plan called the Final Solution. Although leaders of nations telling lies about their enemies has been an age-old practice, not until the Nazis came into power was this Big Lie scheme consolidated into a formal program of deliberate deception, mostly about the Jews; but also to democratic nations regarding Germany’s agenda of annexing land or seeking justice and restoration for their humiliating defeat in World War I. At the time, most Germans and many Europeans who harbored even slight Anti-Semitic sentiments believed what they heard in speeches and on the radio, watched in movies, and read in the press. Then and especially now with post-War hindsight, most Americans and their World War II allies were and are historically aware of the Big Lie phenomenon perpetrated by the Nazis; accordingly, we consider the source and comprehend the deceptiveness. But that is not the case regarding the constant Islamic distortion of history in today’s Middle East. Few know that the prophet Muhammad, himself, proclaimed that it was perfectly okay to lie to Christians, Jews, and even other Muslims in order to achieve Islamic subjugation of the infidel. Today, tell them that you mean them no harm, that you pursue only peace. Then one day, when the time seems right, launch an intifada and kill them to achieve both short and long-term goals. Since the Palestinian Liberation Organization was formed in 1964 to “liberate Palestine” primarily through armed conflict, then later renamed the self-governing Palestinian Authority in 1993 at the Oslo Accords; Muslim Arab countries in particular and non-Arab Islamic nations in general have pursued a two-pronged program of violence and deception to accomplish their professed objective of a two-state solution in Israel. With their real goal to dismantle the State of Israel and eliminate the Jews entirely from that state. The Muslims failed to destroy Israel through an Arab-Iraqi military coalition campaign in Israel’s War of Independence of 1948-49, the Six-Day War of 1967, and the Yom Kippur War of 1973. Thus, they resorted to suicide bombings, to mortar and missile attacks primarily from the Gaza Strip, to economic boycotts, divestments, and sanctions (BDS), and recent lone wolf attacks on innocent Israelis (stabbings, shootings, stone throwing, vehicles). All the while utilizing persistent and progressively frequent propaganda that many European nations and all too many Americans are beginning to believe. In the very recent past, there has been an alarming increase of individual Palestinian attacks against Israelis … on Temple Mount, in the streets, in vehicles, at bus stops, and even in Jewish synagogues—anywhere that a defenseless (soft-target) Jew or Jewish family can be found. Whenever these attacks occur, the Palestinians invoke the terrorist mentality that such actions are justified and necessary in their struggle against oppression, an oppression that doesn’t exist except in the incessant lies that stream from Muslim leaders. This has been going on for the past three decades or so. But in the last few days, the lies are getting bigger and the assaults bolder. 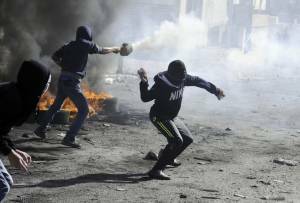 One of the Palestinians was Muhammad Halabi, a nineteen year old law student from al-Bireh, near Ramallah. On Saturday night (October 3), in the old city of Jerusalem, he stabbed five Israelis, including a two-year old girl, killing two men. He grabbed a pistol from one of the men he had just killed and began shooting randomly at more Jews. 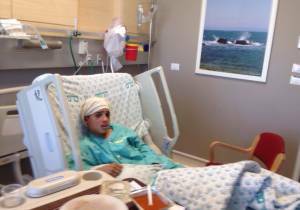 During this rampage, he was shot and killed by Israeli security forces. Palestinian Authority spokesman Ihab Bseiso, as publicized in the news site Wafa Palestinian, claimed that the Israelis were conducting a, “military offensive in multiple Palestinian cities.” Then the PA alleged that the Israeli escalation was an obstacle to ongoing peace efforts and the two-state solution. Also that the current situation in the West Bank and Jerusalem has become volatile exclusively because the Israelis have attempted to divide al-Aqsa Mosque, Islam’s third holiest place, between Muslims and Jews. *Note: I have watched video footage of the recent confrontation between Israeli Police and Palestinians hurling Molotov cocktails and large rocks on the Temple Mount. It’s irrefutably clear who started the conflict, and it wasn’t the police. What’s apathetically apparent, however, is that most people won’t take the time to check out all the visual and written evidence. Instead, they accept outright what Arab news sources are propagating, or at the very minimum reach a conclusion that there must be some credibility to what Muslims are saying about the Israelis, because they say it so loud and so often. In a follow-up article the BBC changed its headline to read: “Jerusalem, Palestinian kills two Israelis in Old City.” But the BBC issued no apology, and by then the damage through distortion had been done. It’s no coincidence that the recent series of assaults came directly on the heels of Abbas’ speech to the United Nations. Before we examine some of the astonishingly inaccurate statements Abbas made in his UN speech, we need to understand that many Western journalists who report on these Israeli, Palestinian incidents, are slowly but surely slanting their columns toward empathy with the Palestinians. At the very least, they sanitize the brutal unprovoked assaults against Israelis by omitting or watering down the fact that Palestinians were killed as direct result of their murderous rampages against Jews. Often reporters classify the Palestinian killers as militants, in the same way that they label, for example, ISIS or al-Qaeda killers as militants or terrorists. Of course, they are terrorists, but what is frequently overlooked or brushed aside is that millions upon millions of Muslims approve what the militants among them do. Most Muslims would not kill Jews and Christians mainly because they don’t want to risk prison or death. However, the militants are simply mainstream Muslims who are acting out what the Koran and their prophet Muhammad commanded them to do … subjugate all infidels (Christians and Jews) through whatever means necessary, including murder. The actual evidence is overwhelming: The majority of Palestinians in Israel and Muslims elsewhere condone the murder of Israelis. For example, after the recent attacks on Israeli civilians, there were videos of Palestinians rejoicing over the deaths of the Jews. They celebrated with fireworks, by waving Palestinian flags, and by handing out sweets to each other. Much like dancing in the streets when the twin towers fell on 9/11. But when Jews die, there is a deeper (depraved) satisfaction of one less Jew in the world. Due to the number of these recent attacks, Israeli Prime Minister Benjamin Netanyahu cancelled a planned trip to Germany this past week. Another horrific assault involved four Jewish children, ages four months to nine years in the rear seat of their parent’s car. When the father stopped the car at a red light, he and his wife were attacked and murdered while still in the car, right in front of their children. You may want to watch or read a print-out of this speech delivered on September 30, 2015. It is replete with lies and innuendoes. Lies that deliberately falsify what actually has taken place in Israel since its’ foundation as a Sovereign State. Lies that are couched in dramatic words and emotional overtones that appeal to those who champion repressed people all over the world. A suppression that purportedly is solely the responsibility of the Israelis. But a fabricated oppression that has no basis in reality, whatsoever. For sake of time/space in this article, I will cite only a couple of excerpts as representative examples of the Big Lie syndrome. Then, provide some historically factual commentary on what this leader of a nation that doesn’t exist would have us to believe. Neither the Palestinian Authority which governs the West Bank, nor Hamas in the Gaza Strip, nor the vast majority of Palestinians—even many who are Arab citizens of Israel—acknowledge Israel’s existence. That is why they rarely refer to Israel as Israel; rather it is still Palestine, which has NEVER been a country in the first place. Nor are the Palestinians a people of any such territory. They are Arabs, most of whom still have Jordanian passports. Before Israel was reborn as a nation, if anyone referred to the Palestinians, they were referring to the Jews. Not until the Palestine Liberation Organization came into existence in 1964 did Arabs began calling themselves Palestinians, this to give the counterfeit impression that the land formerly called Palestine belongs to them. Just exactly who are the martyrs here? When someone murders another exclusively because of the victim’s religion or race, isn’t the victim the martyr? Since when do those who are killed or imprisoned because they murdered a completely innocent person become a martyr? Muslims not only rewrite history, they also redefine words and terms. Muslims kill Jews just because they are Jews. Israelis swiftly retaliate by capturing or killing the killers not because the perpetrators are Muslims, but because they are murderers. Who, then, is the martyr? Israeli Aggression? The facts are crystal clear. One only has to do a little research to fully realize that the Palestinians, either individually or collectively through Hamas, Islamic Jihad, and other terrorist’s cells in Israel, are the ones who time and time again initiate the clashes. They are the aggressors by methods described earlier in this article, such as lobbing mortars into Israel. So, if Israel responds, then are they the aggressor? Muslims not only rewrite history, redefine meanings of words, they also reinvent and reverse logic and reason. Agreed … the dreams, hopes, and future of Palestinians are gone when they are killed during wars and intifada that they initiate. Their dreams: That Israel will capitulate to their every demand, such as a militarized Palestinian State, a Jewish return to indefensible 1967 borders, Jerusalem as a Palestinian Capital, and return of hundreds of thousands of so-called refugees. Their hopes: That Israel will cease to exist as a nation. Their future: That there will be no more Jews anywhere in the land. Although there are several other deceptions contained in Abbas’s address to the UN and through the daily rhetoric streaming from Muslim and Palestinian sources, the allegation of Israeli occupation is the Biggest Lie of all. I have written about this in some prior Eye of Prophecy articles, but it bears repeating. Since when are a people guilty of occupying a land that belongs to them in the first place? By default, ownership obtained through purchase of land parcels, through the United Nations Resolution of 1947, and most of all through an ancient title-deed given to them by God, himself, extend Jewish rights to occupy that land. But contemporary connotation suggests that occupation means unlawful trespassing or illegal possession and residency. It’s one thing for the Palestinian people and their leaders to make these unsubstantiated claims, as it’s all too evident they will do anything to get want they want, even by lying to anyone and everyone who will listen. It’s quite another for entire peoples and nations to actually listen to them and believe much of what they say. But that’s exactly what the international community has done and is doing with frightening frequency. Which is why the United Nations has issued some 45 resolutions against Israel since 2013, and only one or two against Syria, where a quarter million (mostly innocent) people have been killed by warring factions in just the past three years. 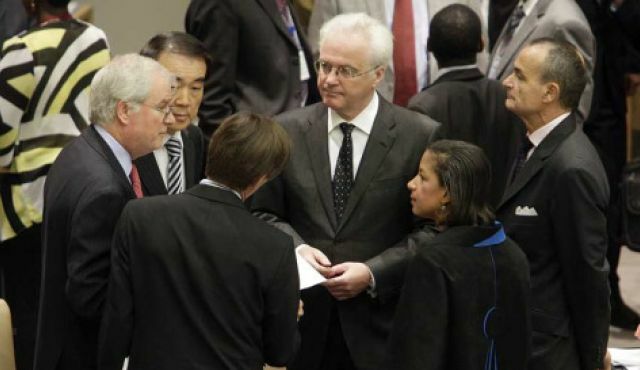 Actually, the UN probably doesn’t know who to sanction in Syria these days! Would it be Assad? Or the rebel groups who oppose Assad? Or Iran for supporting Assad? Or the United States for supporting the opposition to Assad? Take your pick. No, it’s so much easier to bash Israel, the only free, democratic nation in the entire Middle East. But then I seriously doubt that most of non-Muslim countries or even many Arabs and their representatives to the United Nations know much, if anything, about the true history of the Middle East. Those that do know better do everything they can to falsify the facts. The United Nations in existence today has conveniently forgotten its own history; the irrefutable fact that it passed a resolution in 1947 which legally endorsed a Jewish State in Palestine, to later be called by its ancient heritage name of Israel. Which was a long overdue affirmation of the Palestine Mandate that followed the Balfour Declaration of 1917, i.e. some of what was then called Palestine belonged to the Jews. That part of the territory of Palestine would also be given to the Arabs alongside of the Jews. But the Arabs refused, and the very next day (May 15th, 1948) five Arab nations launched an all-out assault with a vastly superior military on the vastly outnumbered Jews … ending in a Jewish victory that was against all odds. Both Biblical and secular history indisputably confirm that the Jews were in the land long before the Arabs. I repeat: A long time before … at least 2,000 years before. Furthermore, the Jews were driven out of Israel by the Romans, who did not take up residency in the land; which didn’t then or now follow the usual pattern of conquering nations inhabiting the land they conquer. Several centuries later, the Muslims drove out many remaining Jews, and some Arabs took up residency in Israel, whose named had been changed to Palestine by a Roman Emperor. Only for the Arabs to be vanquished by the Ottoman Turks, who, like the Romans, did not actually occupy Palestine. Then the British conquered the Ottoman Turks in World War I and declared Palestine as a territory that could be equally occupied by both Jews and Arabs. At no time after World War I or World War II did the Arabs make any serious attempt to form an Arab State in Palestine, because surrounding Arab countries like Jordan would not allow them to do so. But primarily because the Arabs stubbornly refused to share the land alongside Jews. Thus, the Arabs within the state of Israel never have had nor will ever have a legitimate right or even argument to ownership of the land. If the conditions of the argument hinge on who was there first, or who now has the greater number of people, or who was legally granted the right of statehood by international authority of the UN, or who has amazingly developed the land—economically, socially, politically, militarily—then Israel wins on all counts. The only portion of land taken by force occurred during the 1967 Six-Day War; in which the Golan Heights, the Gaza Strip, the Sinai Peninsula, and Jerusalem were captured by the IDF in a miraculous victory over an impressive Arab military coalition. However, Temple Mount was given back to Jordan and the Sinai to Egypt. Then in 2006, Israel forcibly removed all Jewish settlements from the Gaza Strip, which prepared the way for Hamas take over. 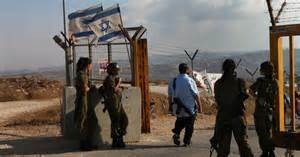 Israel kept the Golan Heights; to give it up would be national suicide for Israel. The so-called aggression in the Gaza Strip referred to by Abbas was last year’s IDF Operation Protective Edge in which Israel retaliated for the brutal murder of three Jewish teenagers, but primarily to more missiles launched from the Gaza Strip into Israel. Moreover, the Arabs living in the Gaza Strip (and the West Bank) are as free as they can be considering the corruption of and deprivation caused by their leaders. There is no Israeli occupation in Gaza; there aren’t even any Israelis soldiers stationed or civilians living in Gaza. In the erroneous negative sense of the word, Israeli occupation simply doesn’t exist in Israel. Neither did I see any evidence, whatsoever, of alleged apartheid when I drove a rental car through much of Israel in 2006. There are strategic checkpoints surrounding the West Bank, Gaza Strip, and at Israel’s borders … no different than what we experience in the United States through our Border Patrol. But not the adverse connotation of occupation already discussed. Yet, people all over the world, even many Americans, are under the impression that the Jews are to some extent, in some fashion “occupying” land that doesn’t belong to them. They have heard about Israeli occupation enough to begin to believe it. It’s a lot easier to conclude that it must be true, if not only Palestinians but leaders of nations the world over say it’s true. It’s a lot easier to believe it than to spend a little time reading up on the real history of the Middle East applicable to Israel. Because the Jews have miraculously returned to their land with a supernatural revival of their ancient language; and quickly developed into a vibrant nation with a powerful military (for the small size of Israel), it’s all too easy to forget about the six million Jews murdered in Nazi death camps just one-two generations ago. Overall, the fabrication of Israeli occupation is the biggest lie believed by many in today’s world, because it is the foundational false premise on which so much of the world’s misconception of historical Israel is built. However, the above quote from Abbas is undoubtedly the most blatant, belligerent, grossly fraudulent travesty of what actually happened in Israel’s 1948 War of Independence that I have ever heard. It is shamefully and shockingly duplicitous. Duplicitous (two-faced) because in reality it actually describes and applies to what happened to the Jews during the horrendous years of the Holocaust … certainly not to the Palestinians in 1948. PA President Abbas’ mention of Al-Nakba is a reference to Israel’s War of Independence in 1948 and the humiliating defeat—called the Day of Catastrophe (Al-Nakba)—of the Arabs, who were still decades away from being called Palestinians (those who reside in Israel). Instead, Arab leaders told their people to leave Israel until the Jews were annihilated; that an Arab victory would be swift and sound. The main reason was because the Arab military coalition needed the land space and facilities of Arab villages to conduct their operations against the Jews. Their own people were strategically in the way of these military objectives. As a result hundreds of thousands of Arabs fled Israel to neighboring Muslim countries like Lebanon, Syria, and Jordan. When the Israelis convincingly defeated the Arab confederation, most of the Arabs did not return, which has produced the “refugee camps” cited by Abbas. Those camps remain to this very day, only much larger. There was no ethnic cleansing, no dispossession as Abbas so deceptively declares. All one has to do is to read the historical accounts of what actually transpired to know that the Palestinian Arabs (they weren’t even called Palestinians until the 1960’s) were in no way, shape, or form, “torn from their homes and displaced within and outside of their homeland” as Abbas so cleverly claims. Any displacement that took place was at the direct orders of the Arab military leaders to their own people and/or the natural desire for (especially the well-to-do) Arabs to get out of harm’s way during this very sudden war initiated by the Arabs. There was, however, a forced mass exodus of Jews from surrounding nations, such as Iraq, Iran, Syria, Lebanon, Jordan, Egypt, and Saudi Arabia because these countries wanted no Jews in their land after Israel became a state. In fact, many of the dramatic grievances against the Palestinians that Abbas alleges in his twisted historical account actually apply to the Jews during the horrible Holocaust atrocities perpetrated against them by the Nazis, followed by the post-World War II dispossession from their homes in nearby countries. Abbas would have us believe a Big Lie; that his people were victims of a “dreadful ethnic cleansing” at the hands of the Jews and that the Jews now occupy a land that doesn’t belong to them. In fact, it was the Jews who lost six million of their own through ethnic cleansing in Europe. Muslims everywhere appear irrationally intent on finishing what Hitler began … the genocidal elimination of the Jews from the earth. Which is why the Palestinians have rejected any and all land for peace offers made by Israel over the past several decades that would lead to a Palestinian State within the current boundaries of Israel. What Israel has asked in return is profoundly simple, but much too hard for the Arabs to accept; which is recognition of Israel as a sovereign state with Jerusalem as its undivided Capital. The Arabs want far more than East Jerusalem or the Golan Heights or all of the West Bank. They want all of Israel. No, they want more than that. They want Israel to cease to exist altogether. That is why there will never be real peace in Israel until Messiah Jesus, the Prince of Peace returns. That is why the newest and most often used tactic of the Palestinians in particular and Muslims in general is the Big Lie: That Israel is not Israel; it is Palestine. Therefore, the Jews are occupying a land that belongs to the Arabs. Tell it loud enough and long enough and people will believe it. It’s bad enough that the Palestinians teach their children these lies. It’s quite another for the PA President to stand before the United Nations General Assembly and revise history through pathetically fraudulent claims of ethnic cleansing of the Palestinians. What’s worse: People all over the world, including their leaders, believe these lies of Israeli occupation and aggression. Do you see what Israel is up against? But on the authority of the Bible, I can tell you this: No matter how perilous Israel’s position, surrounded by deceitful enemies, what Israel is facing is nothing compared to what the Palestinians and all individuals and nations who harbor the idea that the Jews have no right to Israel or any rights at all. They are up against the true and living God … the God of Israel and his Messiah who happens to be a Jew who died for the sins of the whole world. Our God is an awesome God. He is a God of love and grace and mercy. “He is so rich in kindness and grace that he purchased our freedom with the blood of his Son and forgave our sins” (Ephesians 1:7). He loves everyone the same … all peoples of all languages and nations. He is also a God of truth and justice and destiny. Said the Jewish Apostle Paul: “God’s purpose was that we Jews who were the first to trust in Christ would bring praise and glory to God. And now you Gentiles have also heard the truth, the Good News that God saves you. And when you believed in Christ, he identified you as his own by giving you the Holy Spirit, whom he promised long ago” (Ephesians 1:12-13). 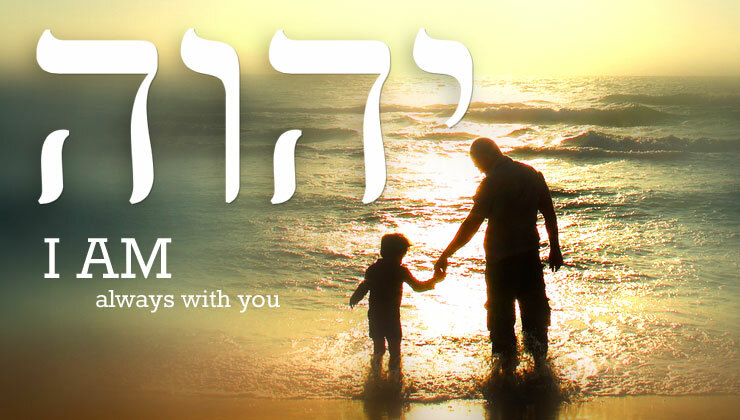 “I am Yahweh—the Lord. I appeared to Abraham, to Isaac, and to Jacob as El Shaddai—God Almighty—but I did not reveal my name, Yahweh, to them. And I reaffirmed my covenant with them. Under its terms, I promised to give them the land of Canaan, where they were living as foreigners. You can be sure that I have heard the groans of the people of Israel, who are now slaves to the Egyptians. And I am well aware of my covenant with them” (Exodus 6:2-5). Later, when Israel abandoned the Lord their God, they were disciplined by means of foreign nations conquering and exiling them, culminating in the Great Diaspora by the Romans. But Scripture is replete with prophecies that God would return the Jews to Israel and restore them physically and spiritually, which is taking place before our 20th and 21st century eyes. In 1967 when the Jews reclaimed the Holy City Jerusalem of the Holy Land of Israel, God’s discipline of his people ended. From that time on, nations and individuals who seek to destroy the Jews will pay an extremely heavy price. “O God, do not be silent! Do not be deaf. Do not be quiet, O God. Don’t you hear the uproar of your enemies? Don’t you see that your arrogant enemies are rising up? They devise crafty schemes (lies) against your people; they conspire against your precious ones. 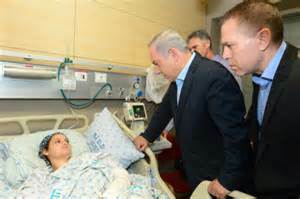 ‘Come,’ they say, ‘let us wipe out Israel as a nation. We will destroy the very memory of its existence’” (Psalms 83:1-4). Rest assured, God will no longer be silent when it comes to Israel. He hears and sees the arrogant taunts and loathsome lies of those who seek to erase Israel from the face of the earth. Soon, very soon, the Holy One of Israel will spring into action! Everyone wants to live forever. Both rich and poor, famous and common seek immortality. However, many think, act, and live as though this earthly life is all there will ever be. They want to experience all the pleasure, achieve all the prestige, and acquire all the possessions possible during this life; then hope that they’ve been just good enough to merit God’s favor in the hereafter. Others blindly follow false gods and the false promises of the men who made those gods to a paradise that doesn’t exist for them. Either way, they end up ignoring or rejecting the life-giving truth proclaimed by Jesus, himself. “…whosoever believes in him will not perish (spiritual death) but have eternal life” (John 3:16). They disregard the profound warning that Jesus issued regarding the eternal life or death consequences that a person’s belief system and life’s pursuit would bring: “If you try to hang on to your life, you will lose it. But if you give up your life for my sake and for the sake of the Good News, you will save it. And what do you benefit if you gain the whole world but lose your own soul? Is anything worth more than your soul?” (Mark 8:35-37). What many don’t fully grasp is that immortality is a reality, but only on their Creator’s terms … according to God’s eternal plan for the human race. But this existence will either be Life or Death. Life in spiritual bodies equipped to live in heaven forever. Or, what Scripture calls the Second Death … eternal separation from God also in a body but one that is spiritually dead. One that is more like the Walking Dead depicted in the television program of the same name, but without the Hollywood imitative inaccuracies. Resurrection to Life? Or, resurrection to Death? We have a choice. In last week’s Part I article, we examined what it is that has compelled and persuaded millions of people since the first century AD to place their personal trust and destiny in Jesus Christ. Permit me to quote from that article (in italics). We are compelled by the amazing love of God expressed in his Grace freely bestowed through the precious gift of his son, Messiah Jesus. It is the greatest gift ever given, purchased by the highest price ever paid (not our purchase with good works or self-worth, but God’s purchase), the very blood and life of Jesus Christ—the righteous for the unrighteous, the just for the unjust, the innocent for the guilty. We are persuaded by the very cornerstone of our belief and trust: the bodily resurrection of Jesus Christ. The Son of God, Son of David, and Son of Man reigns from heaven and will soon return to reign on this earth … in the same glorified, spiritual body that was his when he left the grave. All other religious founders or leaders are still in their graves. But not the Lord. 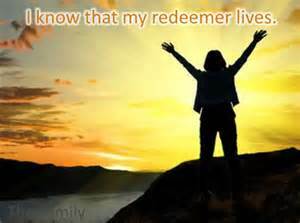 Our Redeemer lives! Now let’s take an up-close and personal look at the who, what, how, and when of the mysterious, but nevertheless astounding actuality of the spiritual body. Because without this transformed body which is a new extreme make-over of our original earthly body, there’s no way that we will be equipped to live forever in heaven. Or be able to do extraordinary things on this earth during our rule and reign with the King of all kings … our Lord and Savior Messiah Jesus. If you like, think Superman … without the kryptonite! But for a vastly superior purpose: To worship, praise, and serve the true and living God, undefiled. Without the earthly hang-ups and baggage that the very best of men and women bear daily on this weary, wicked world we live in. To fellowship and rejoice with the host of heaven in a paradise so wonderful that even the most vivid human imagination cannot envision or comprehend. Scripture precisely and powerfully proclaims in dozens of passages that only those who personally believe in the Gospel (Good News) of Jesus Christ will be saved from the penalty of their sins, which is eternal separation (death) from God. Instead, we have been freely given the awesome privilege of everlasting life with an immortal body that will surpass our highest expectations or attainable aspirations. This Gospel is both simple and profound, easy to understand yet difficult for so many to believe; because they mistakenly think that they must do something to earn whatever kind of salvation they have imagined or have been taught by (their) religion. How much they must do or how much will be enough depends on the religion they follow. As I have said several times in prior Eye of Prophecy articles: Christianity is not a religion. It is the only belief system which asserts that God did for the human race what it could not do for itself through good works, self-worth, or meritorious conduct. That is why it is called the Gospel, which means, Good News. Jesus Christ did it all! He perfectly fulfilled the Law of Moses, so that mankind can stop trying to earn salvation by keeping the law, which couldn’t be done in the first place. Moreover, the very essence and heart of the Christian faith is a personal relationship with God available to all those who have been restored and reconciled to God by simply believing and receiving Jesus Christ and what he accomplished on the Cross. Then confirmed by his mighty resurrection from the dead. That same resurrection will be graciously given to all who have placed their faith in Christ. The same spiritual body possessed by Messiah Jesus after he arose from the dead will be part of the believer’s eternal inheritance. Let’s return to I Corinthians Chapter 15 and quote again Paul’s definitive summary of the Good News: “…Christ died for our sins … was buried, and he was raised from the dead on the third day, just as the Scriptures said” (Verses 3-4). Yet even some believers in the Corinthian Church doubted whether there was or would be such a thing as a resurrection from the dead. Others believed in a resurrection, but only of the human spirit, not the body; in spite of the overwhelming evidence that Jesus was seen bodily, not merely as a spirit. Mary Magdalene was the first to see Jesus after he arose. She touched him … the Bible intimates that she most likely hugged him! By very definition a spirit cannot be touched. Jesus dispelled all doubt to his disciples (and hundreds of others) who at first couldn’t fathom that he had arisen and returned from the dead as a whole person. When Christ suddenly appeared to them behind locked doors, “…the whole group was startled and frightened, thinking they were seeing a ghost! ‘Why are you frightened?’ he asked. ‘Why are your hearts filled with doubt? Look at my hands. Look at my feet. You can see that it’s really me. 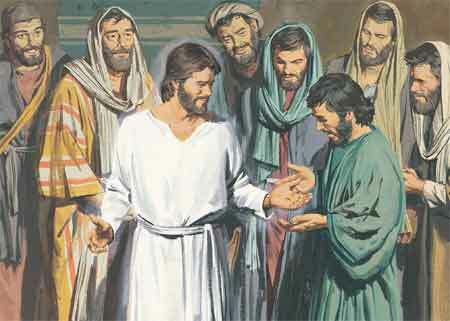 Touch me and make sure that I am not a ghost, because ghosts don’t have bodies, as you see that I do’” (Luke 24:37-39). What an absolutely stunning reality this was to the disciples! Then he actually ate some food to further prove that he was not merely spirit. Since when do ghosts eat food?! Thus, Paul challenges and even reprimands the Corinthians by asking: “But tell me this—since we preach that Christ rose from the dead, why are some of you saying there will be no resurrection of the dead? For if there is no resurrection of the dead, then Christ has not been raised either” (I Corinthians 15:12-13). Paul continues: “And if Christ has not been raised, then your faith is useless and you are still guilty of your sins. In that case, all who have died believing in Christ are lost! And if our hope in Christ is only for this life, we are more to be pitied than anyone in the world. But, in fact, Christ has been raised from the dead. He is first of a great harvest of all who have died. So you see, just as death came into the world through a man, now the resurrection from the dead has begun through another man. Just as everyone dies because we all belong to Adam (born physically), everyone who belongs to Christ (born again spiritually) will be given new life. But there is an order to this resurrection: Christ was raised as the first of the harvest; then all who belong to Christ will be raised when he comes back” (I Corinthians 17-23). 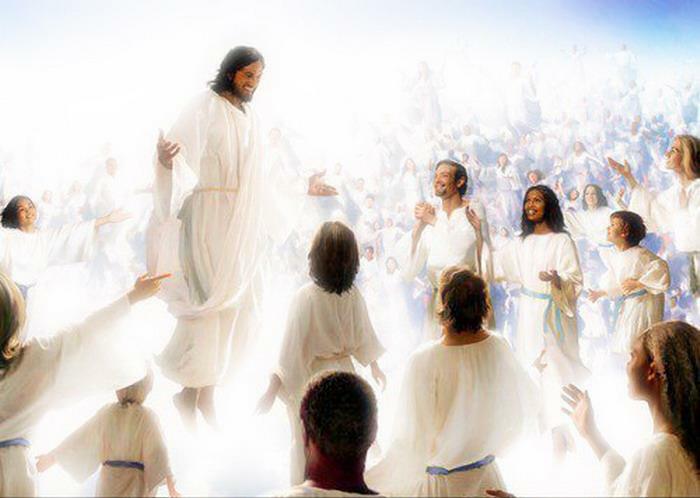 Those who belong to Christ, by means of believing and receiving Him as Lord and Savior, will qualify to be part of the spectacular harvest of brand new spiritual bodies when the Lord takes his people to heaven at the Rapture. What Is a Spiritual Body & How Is It Possible? Let’s pause here for a moment and return to the word oxymoron, discussed in last week’s article. Which is a glaring contradiction of two terms or ideas. With the first part of the word referring to someone or something that is quite sharp … meaning (intellectually) perceptive or even brilliant. And the second part of the word denoting something or someone rather dull … more like foolish. In fact our English word moron is the second half of this word! To some extent Paul is using such a strong word (foolish) to chide those who would pose these kind of questions, but that is not his primary purpose. Rather, he’s employing the word foolish in the oxymoronic sense. That the concept of resurrection from the dead is a profound spiritual and physical fact (as he had already demonstrated by reminding them that Christ arose from the dead); but also an obviously simple thing to grasp in case someone is not seeing the forest because of the trees. “…When you put a seed into the ground, it doesn’t grow into a plant unless it dies first. And what you put in the ground is not the plant that will grow, but only a bare seed of wheat or whatever you are planting. Then God gives it the new body he wants it to have. A different plant grows from each kind of seed. Similarly there are different kinds of flesh—one kind for humans, another for animals, another for birds, and another for fish” (I Corinthians 15:36-39). 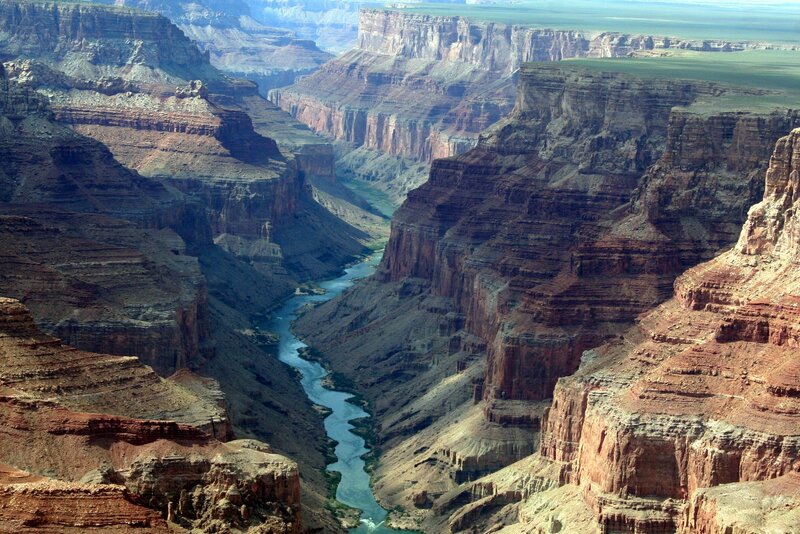 When Adam and Eve sinned by disobeying clear instructions from God, death entered the world. From that point the cycle of life was only possible when the seed of all living things first died, thereby, producing life again. Until the biological seed of plants or the sperm and egg seed of animals and humans first dies, there’s no way that life can begin. 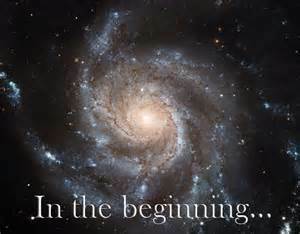 And when it is born and does begin, it’s a whole new and different form of life from the original seed that died. Paul initially refers to the seed of plants because without plant life there could be no other life … birds, fish, animals, or humans. Paul then amplifies this analogy with the example of heavenly bodies possessing their own glory, or distinct innate essence, each different from the other (Verses 40-41). Then he drives the point home by completing the correlation. “It is the same way with the resurrection of the dead. Our earthly bodies are planted in the ground when we die, but they will be raised to live forever. Our bodies are buried in brokenness, but they will be raised in glory (meaning a new and much better essence or being) … They are buried as natural human bodies, but they will be raised as spiritual bodies. For just as there are natural bodies, there are also spiritual bodies” (I Corinthians 15:42-44). *Note: Jesus used a similar comparison when he said that all who wanted to live forever in the Kingdom of God must be spiritually reborn. Just like we are born physically with our earthly body, so can and must we be born-again spiritually if we are to live forever with the Lord in heaven. (John Chapter 3). So, Paul is saying that it’s silly to think that there is no resurrection. Didn’t Christ, himself, rise from the dead? Or, once past that point of doubt, to think that we would be raised with the same earthly body in which we were born. As a result of sin, it was all too clear that our bodies grow old, deteriorate and eventually die. And why on earth would God raise us in spirit form only; when in fact he originally created us with a spirit and body to live forever. It’s foolish to think otherwise; meaning that our eternal existence in heaven will surpass the Garden of Eden paradise given to our original parents, Adam and Eve. Furthermore, this everlasting life will be lived in and with a superbly superior body … a spiritual body! Paul goes on to say: “Adam, the first man, was made from the dust of the earth, while Christ, the second man, came from heaven. Earthly people are like the earthly man, and heavenly people are like the heavenly man. Just as we are now like the earthly man, we will someday be like the heavenly man. What I am saying, dear brothers and sisters, is that our physical bodies cannot inherit the Kingdom of God. These dying bodies cannot inherit what will last forever” (I Corinthians 15:47-50). We already know that our earthly bodies will be transfigured into everlasting heavenly spiritual bodies at the resurrection. But when will that take place? Most believers know the answer to that question, but not necessarily all the intricate details. Though no one knows the actual day and time when Christian believers are caught up to meet Messiah Jesus, commonly called the Rapture, we can otherwise know a great deal about this magnificent event. (Please refer to the first five articles posted on the Eye of Prophecy website in July, August of 2013, on the What, Why, When, Who, and How of the Rapture). In the very next verse Paul discloses an astonishing revelation given to him directly from the Lord. One that he had already conveyed to the Thessalonian believers as found in I Thessalonians Chapter 4, but absent some of the details he imparts to the Corinthians. “But let me reveal to you a wonderful secret. We will not all die, but we will all be transformed! It will happen in a moment, in the blink of an eye, when the last trumpet is blown. For when the trumpet sounds, those who have died will be raised to live forever. And we who are living will also be transformed. For our dying bodies must be transformed into bodies that will never die; our mortal bodies must be transformed into immortal bodies” (I Corinthians 15:51-53). Now, That’s Life!! Not the short time here on the planet then we’re gone without taking anything with us life—dramatically but deceptively summarized, for example, in Frank Sinatra’s song, That’s Life, or in the song written for him by Paul Anka, I Did It My Way. You might want to check out the Eye of Prophecy article entitled, To Be or Not to Be … in Heaven. Posted 11-1-14.